Join us for a special celebration on Easter Sunday, April 21st. 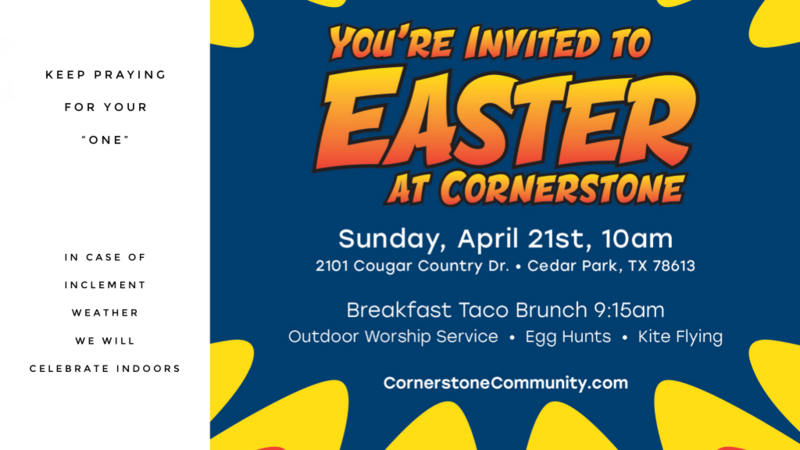 Free breakfast taco brunch at 9:15 am, Worship at 10:00 am, photo wall, egg hunt, kite flying, games and fun for the whole family. Weather permitting we will be outdoors, so please dress accordingly. Bring your friends! Note: There will be no Connect Groups or Student activities the week of Easter.